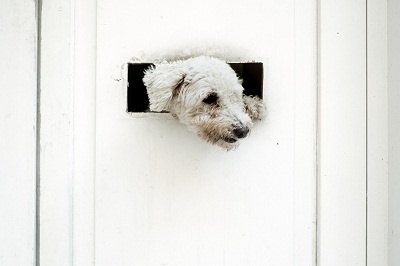 Do You Have the Right Dog Door for Your Pet? As many professional obedience trainers will tell you, when you give your dog more freedom, they will likely behave much better. Just as you tend to feel pent up and restless when you’re indoors too long, dogs can feel the same way. Dogs that are cooped up in houses or in kennels in the backyard all day tend to have more potty accidents and don’t walk on a leash as well. However, when you buy dog doors in Orange County, CA, for your home, you may be surprised to find that your dog becomes better behaved all around and easier to get along with. The tricky part comes in when you have to choose a dog door. You may be wondering what size to get and how to measure your dog for an appropriately sized door. Here are a couple things to think about to make sure you get the dog door that’s just right for you and your canine companion. There are three types of dog doors to choose from: traditional, hard plastic, and magnetic/electronic. Here are some details about each. · Traditional dog doors are the ones you see on movies and TV with the flap that swings both ways to let dogs in and out. Obviously the smaller the flap, the less likely you’ll have a security issue. · Hard plastic dog doors have a lock mechanism. This lock mechanism may increase your feeling of safety and security at home. · Magnetic or electronic dog doors may be more pricy than other options, but can keep unwanted critters out and keep your small kids in. The door works by matching a tag on the door to your pet’s collar to permit entry or exit. Make sure to get the best fit for your pet that you’re measuring your pet as well as the dog doors you’re looking at. If you have multiple dogs, make sure it fits the largest one. Then again, if you’re getting a dog door for a puppy, make sure you know how big your dog could possibly get and get a dog door to fit. Remember that your dog is going to stoop its head down to get in so measuring two inches above your dog’s shoulder should get an accurate measurement. Finding the best dog door for you and your four-legged friends can feel overwhelming. There are so many choices and features to choose from. With these tips, you’ll be able to find the ideal automatic dog door in Orange County, CA, to experience an increase in freedom for your pet and you too.